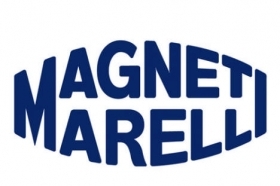 MILAN -- Fiat Chrysler Automobiles will push ahead with a plan to separate auto parts unit Magneti Marelli next year, CEO Sergio Marchionne said, adding that spinning off and listing the unit would be the best option to unlock value. Marchionne also reiterated that it was still premature to spin off FCA's Alfa Romeo and Maserati brands. Speaking Monday on the sidelines of an event in Rovereto, northern Italy, Marchionne said this may not even happen during the next business plan, which will run from 2018 to 2022. Marchionne said he's focusing on the Italian-American carmaker's new five-year strategy, due to be unveiled early next year, which will address how FCA will deal with challenges, stemming from new electric and self-driving technologies. Battery-powered autos have yet to become profitable, with the company losing as much as $20,000 a car on its Fiat 500 minicar's electric version, Marchionne said Monday. The carmaker, which the CEO has wanted to combine with a competitor to share development costs, hasn't been in talks with Hyundai Motor Co., he said in a Bloomberg Television interview, referring to South Korean media reports of a potential tie-up. Global automakers are being squeezed as tightening emissions regulations effectively force them to accelerate introductions of electric vehicles, even as delivery figures are still tiny and battery-charging infrastructure remains patchy. While segment pioneer Tesla Inc. has successfully expanded sales volume, the California startup's cash burn underscores the difficulty of making battery-powered vehicles economically feasible. "Because of the time frame chosen in Europe, we have to electrify," Marchionne said in the interview. "But if you tell me that this is the answer, I say no." As carmakers choose from a range of zero-emissions powertrains, "we need to be absolutely open about the technology solution which would prevail," he said Established carmakers also have to speed up decision-making to match new competitors such as Tesla, led by co-founder Elon Musk. "The biggest fear that I see is that we will be left behind," Marchionne said. "We are a very slow industry; for us to make a decision takes forever." In contrast, Marchionne said that Musk "moves at the speed of a rocket." At the event Monday, Marchionne said there are no discussions with Hyundai and reiterated that he hasn't been approached by Chinese manufacturer Great Wall Motor on a potential deal. "I have no big deal on the table," the CEO said. Instead he's placing priority on reaching debt-elimination targets for 2018 and finding his successor. Marchionne, 65, is set to retire in 2019.